Trustworthy provider of residential garage door services. Technical experts' info is available on this garage door FAQ page. We answer all your questions in time. What is the ideal size for the rough opening of a garage door? The rough opening should be as large as the garage door you are willing to purchase. Note that the garage door should fit against the opening from the inside. 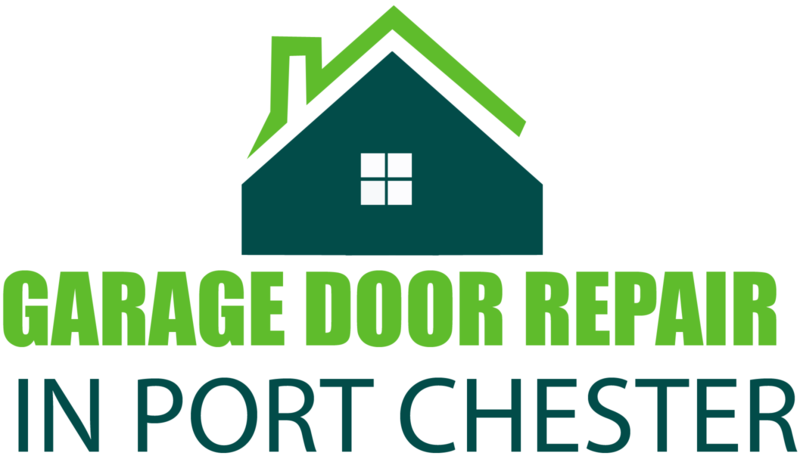 You can have one of our experts in Port Chester inspect the opening to get the right measurements for your new door. Professionals have determined that the amount of horsepower needed for a garage door opener to open a door depends on how easy it is for the door to be opened manually. Depending on the type of garage door you have, around 1/3 or ½ horsepower may be required. Are there differences among garage door hinges? There are slight differences among garage door hinges depending on the brand name. Although most manufacturers use similar dimensions, measure your own hinges before getting new ones. The experts of our company in Port Chester advise you to calculate the distance from the bottom part of the hinge till the mid of the upper hole. How do I deal with a moving garage door’s different parts? In order to properly service a garage door with plenty of moving parts, garage door experts over at Port Chester suggest familiarizing yourself with each and every one. Make sure that you know how each moving part works, keeping them well-lubricated with light oil so it doesn’t cause friction. In which parts should I invest more money? It depends on your needs. If you need wind load garage doors, invest in low gauge steel garage door parts and strong panels. If you care about energy saving, invest in insulated doors. In all cases, investing in good openers which have good safety sensors is the most important thing. Safety comes first. How do you choose tracks when you want to replace your doors? The experts at Garage Door Repair Port Chester advise you to always change the garage door tracks when replacing your doors. After all, you do not want your garage door off track. Placing your new garage door on an old track might just be a bad fit, creating further problems. The pulleys are round steel parts that resemble large wheels. They consist of two quasi flat parts, which are connected with bolts. They are useful because they connect the garage door cable with the extension spring. They are connected with springs via a pulley fork while the cable passes over them. If they split, the door will jam according to our professionals.